Home » News » Deluxe Picture-LP Boxset! After one of the most succesfull years in their already more than impressive career Pestilence announces a final release for 2018…. and what a release this will be! 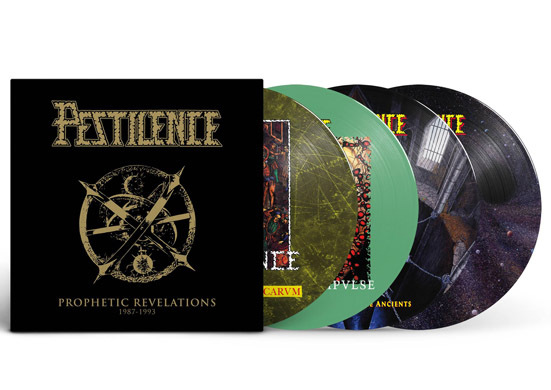 Under the name “Prophetic Revelations 1987-1993” Pestilence and Hammerheart Records present you a killer boxed-set of their first four legendary albums as 180 grams Picture-LP’s, in a high quality box, with some more extra’s added. This will be a one-time limited release of 1.000 copies worldwide.